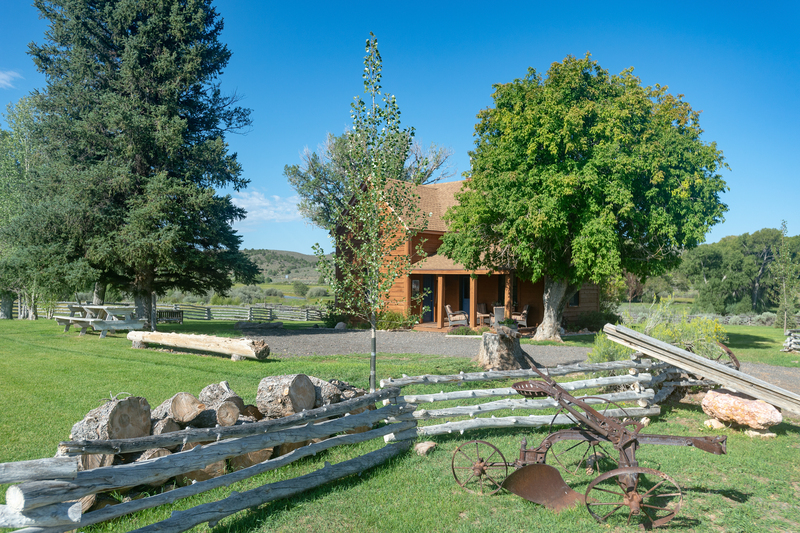 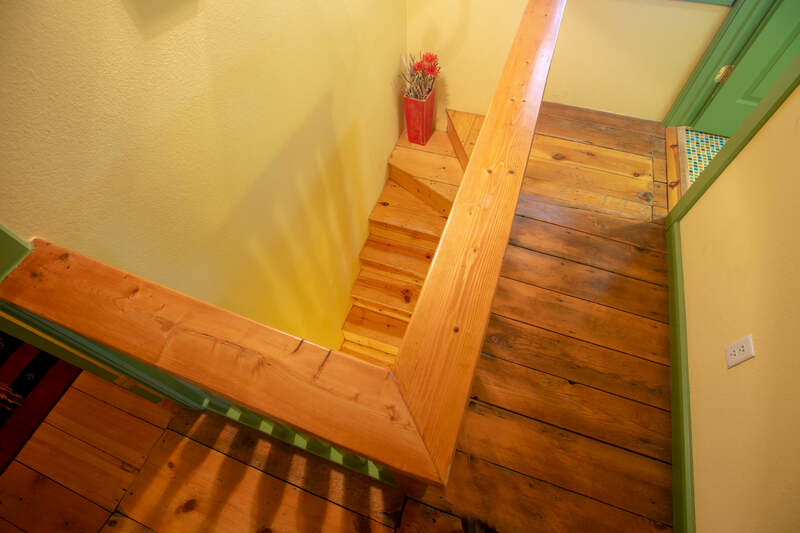 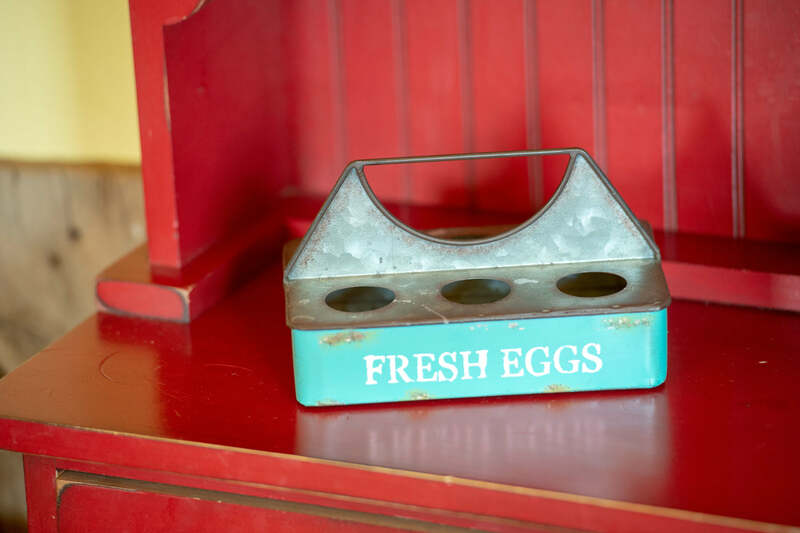 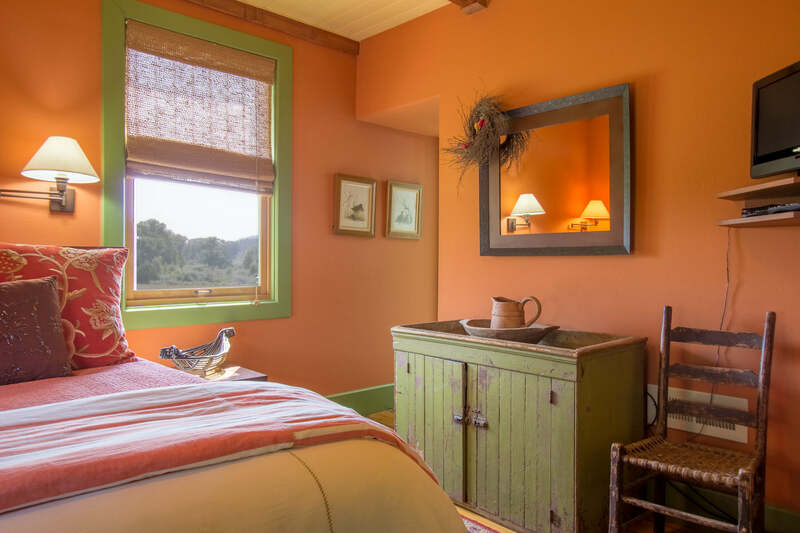 Built in 1903 and recently restored, the Farmhouse has stayed true to its name but with a modern rustic twist. 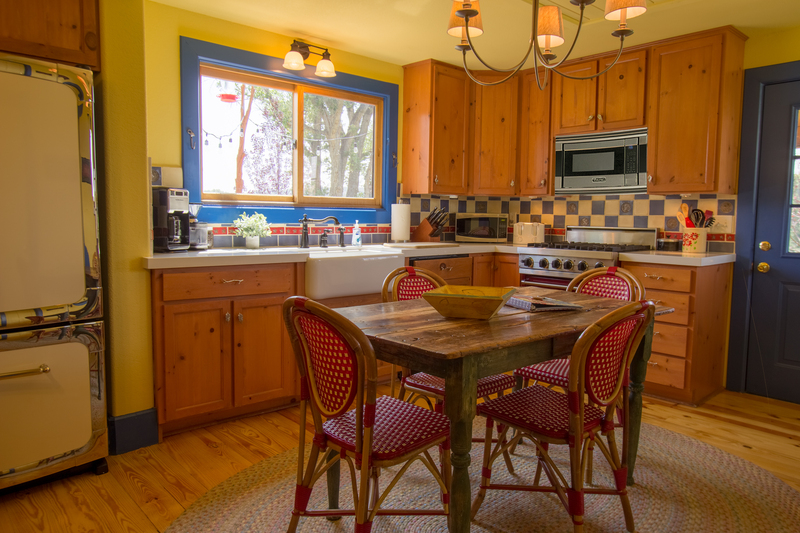 Its colors and decor create a lively modern farmhouse that can comfortably accommodate 8 people. 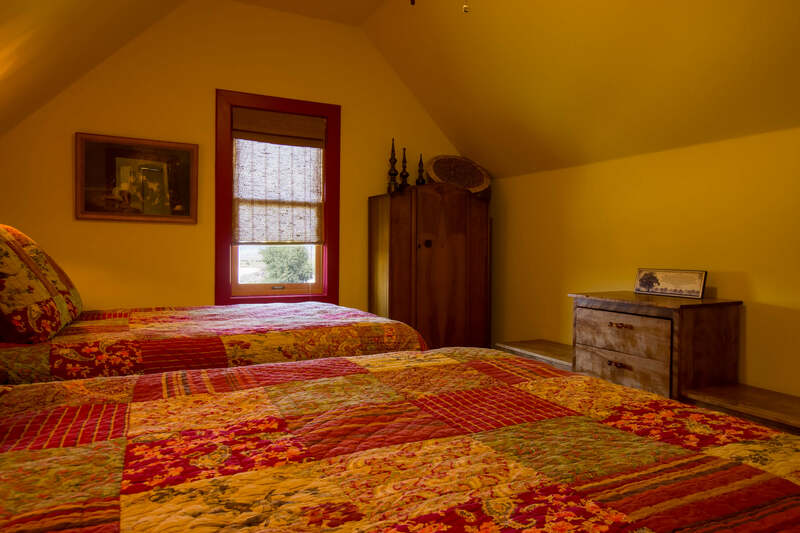 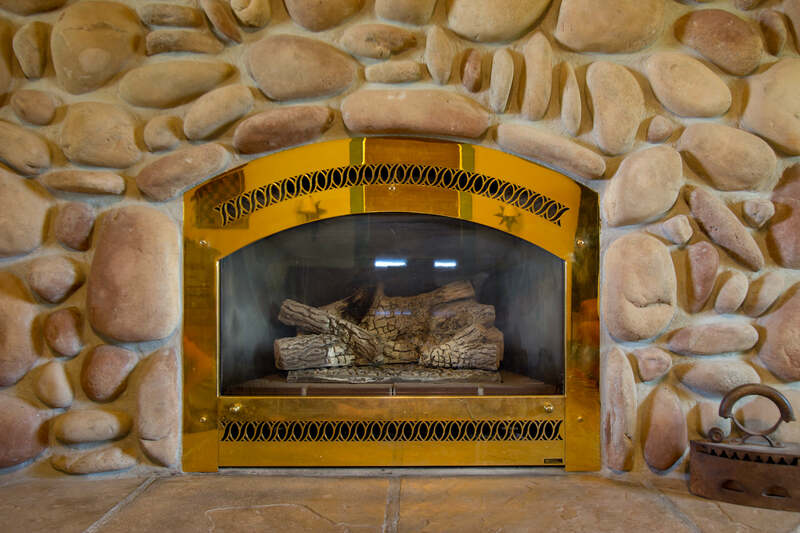 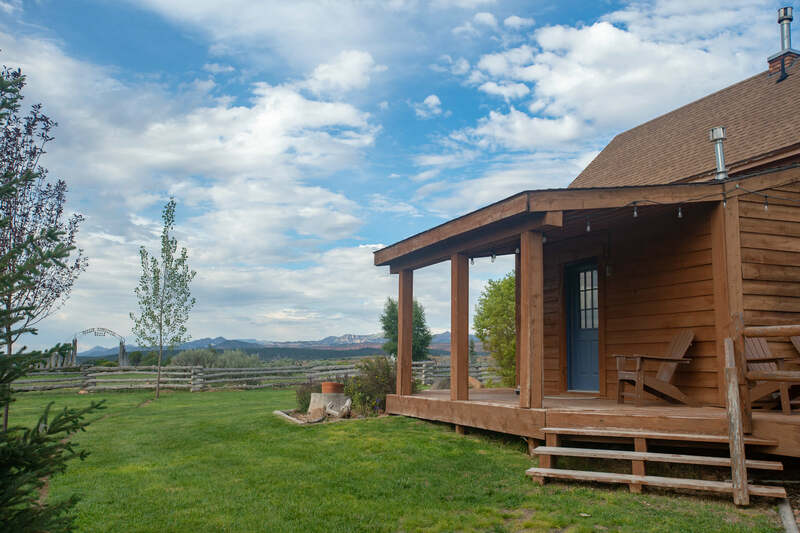 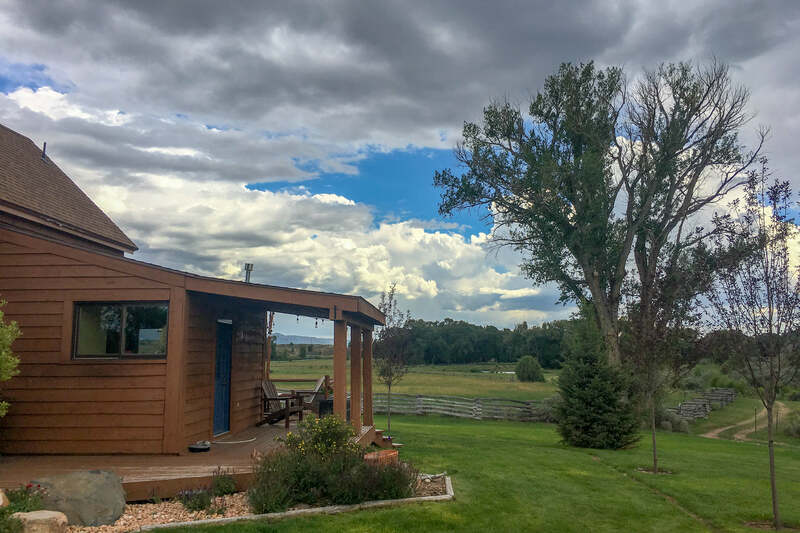 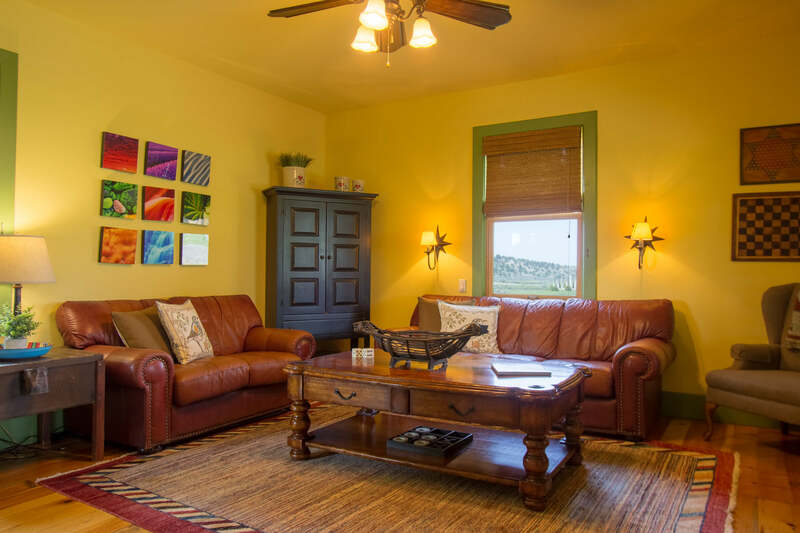 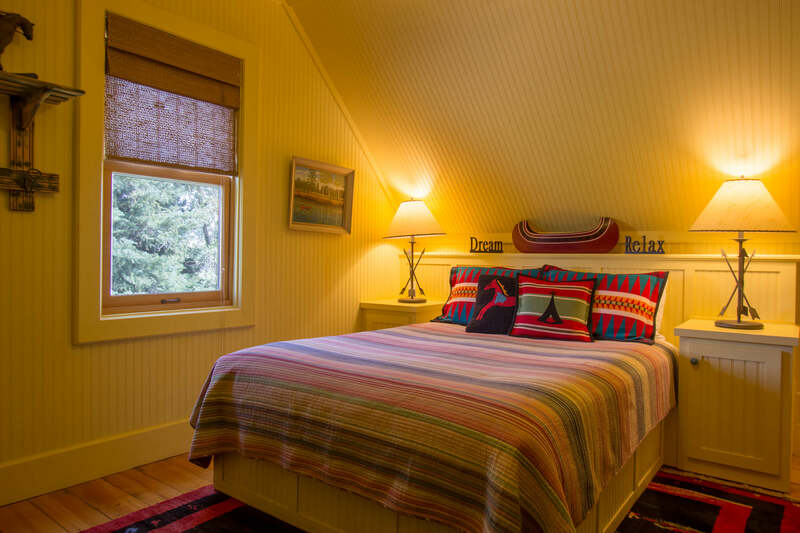 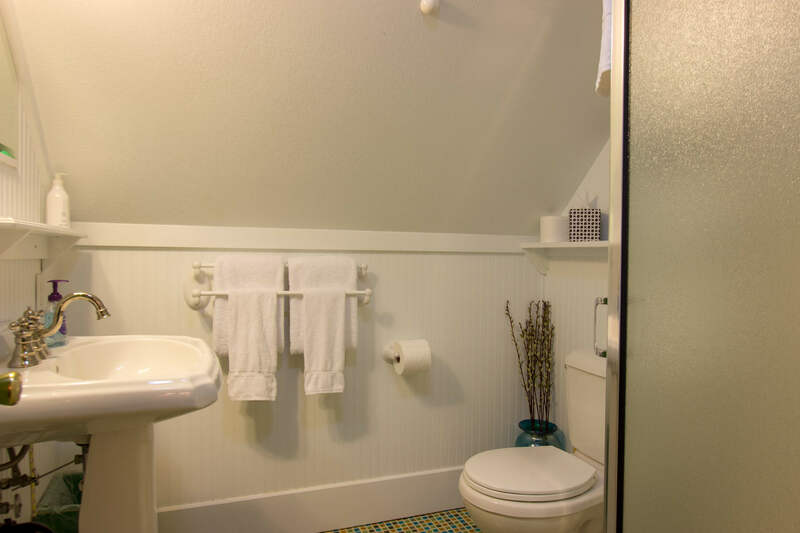 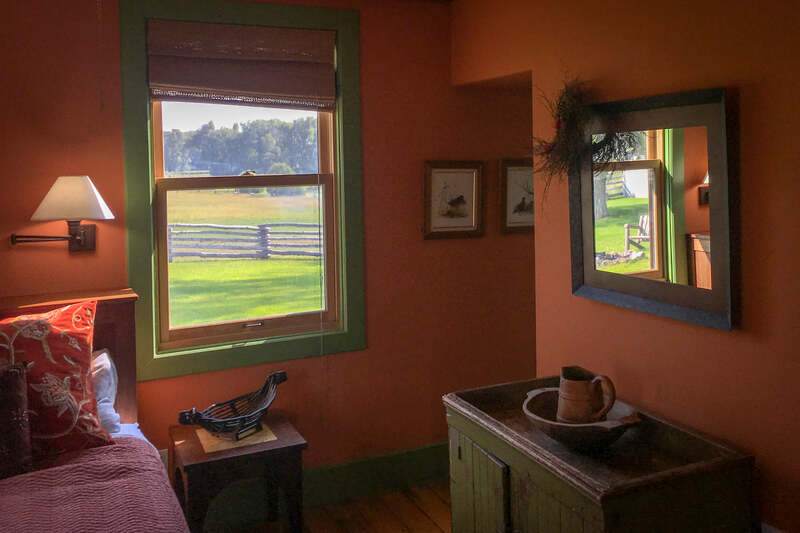 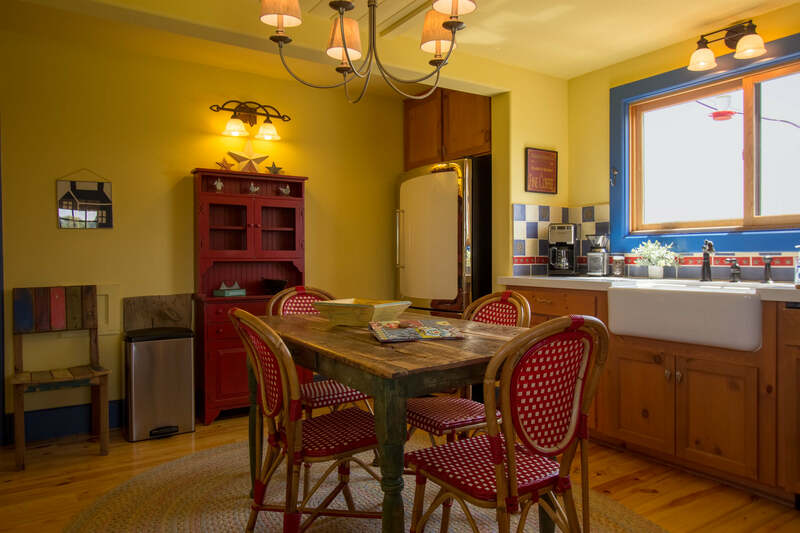 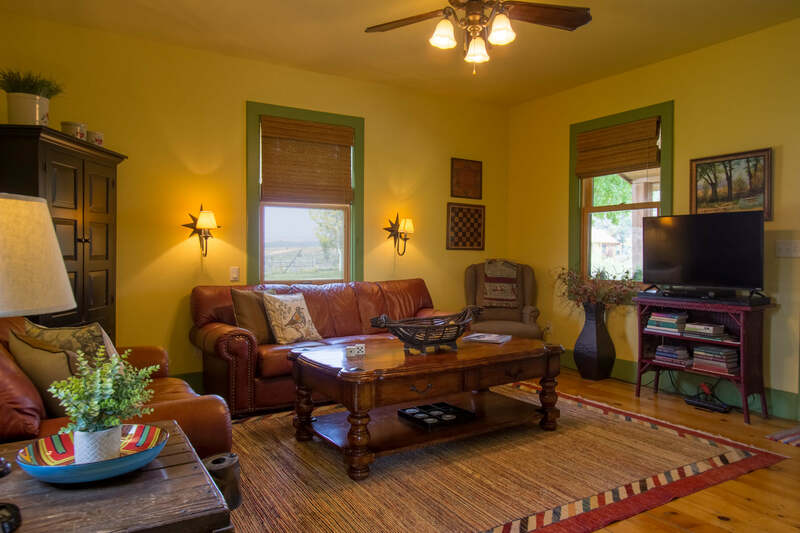 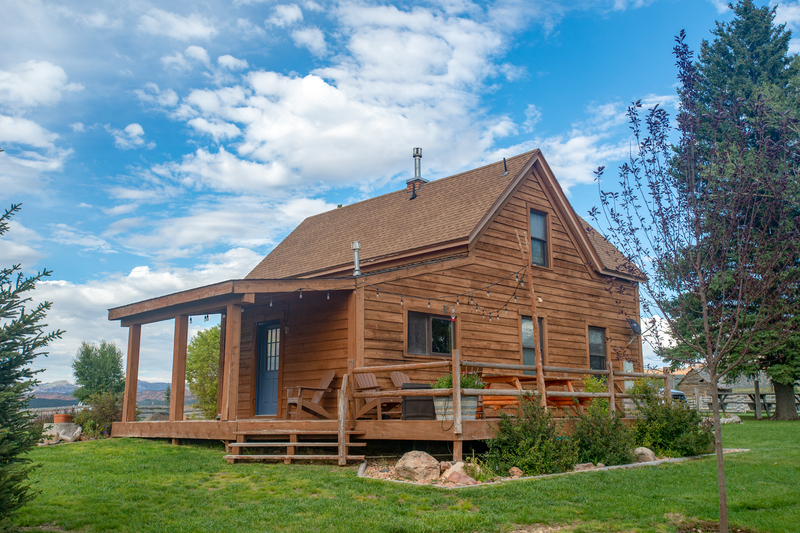 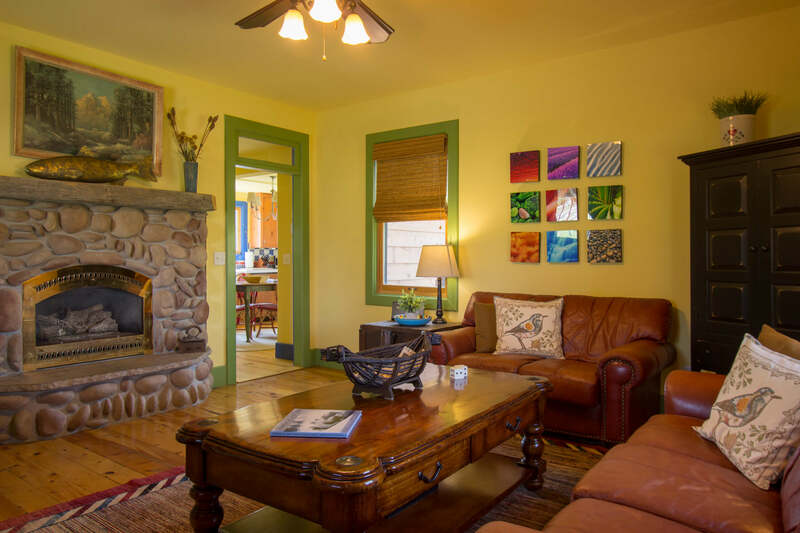 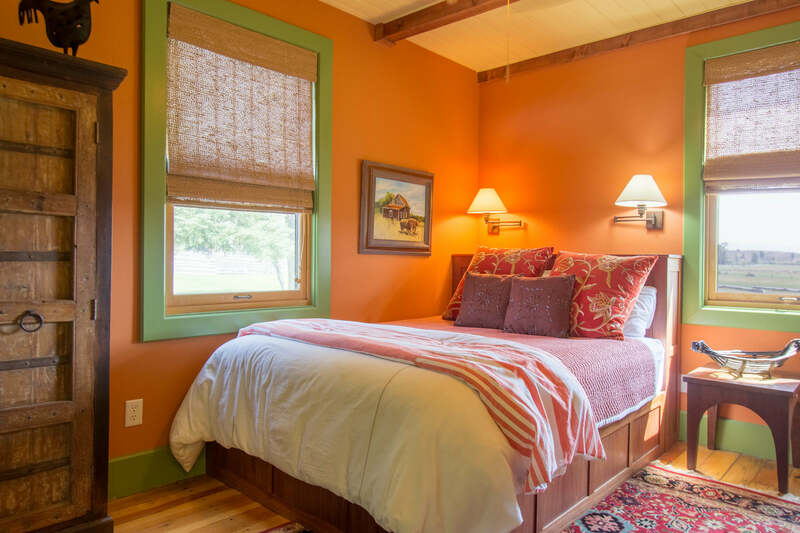 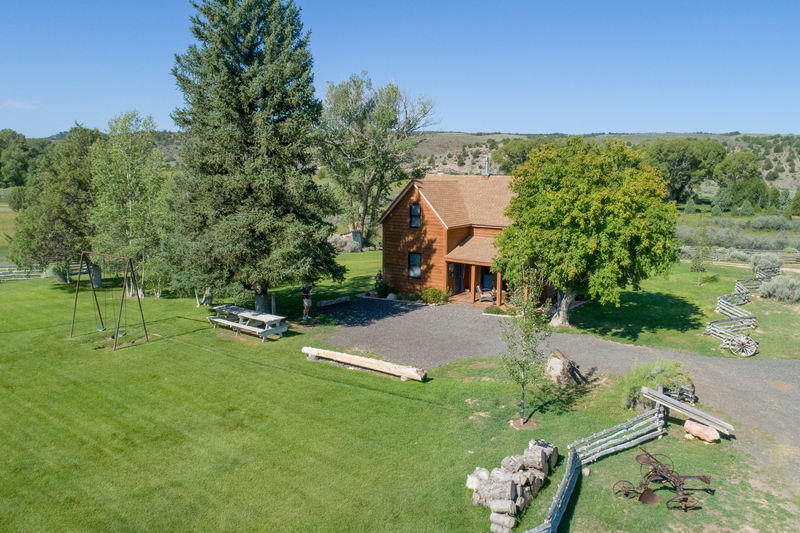 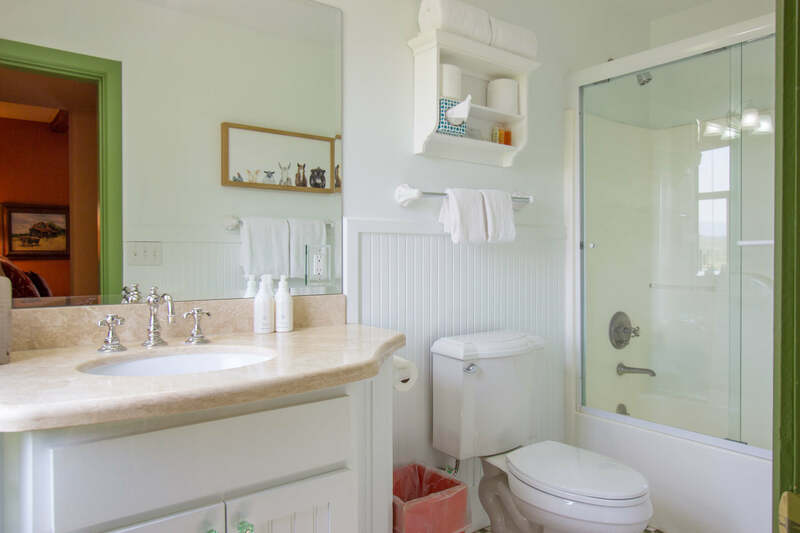 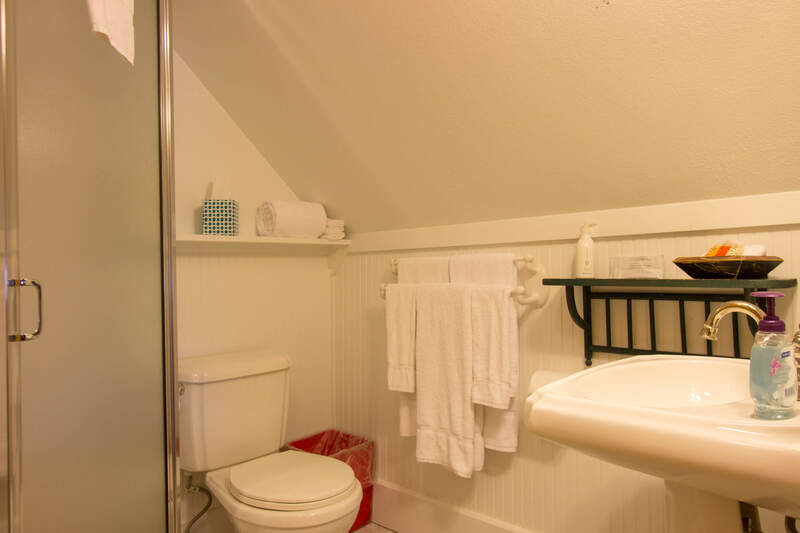 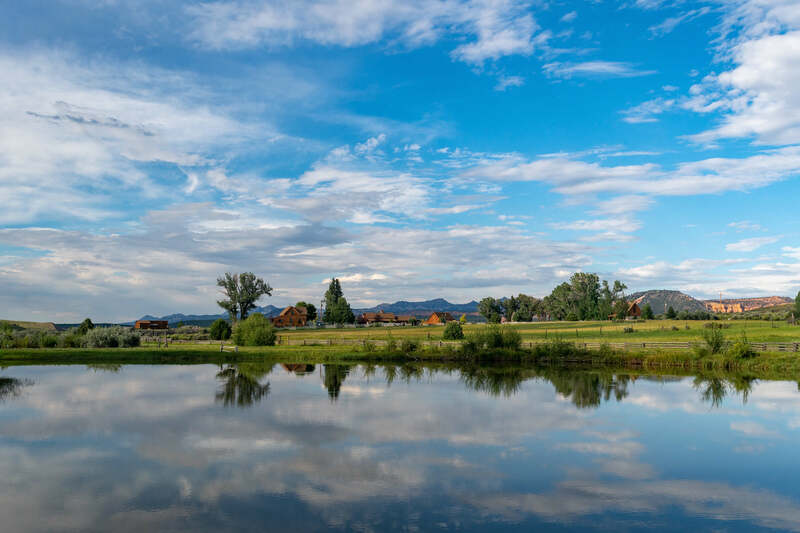 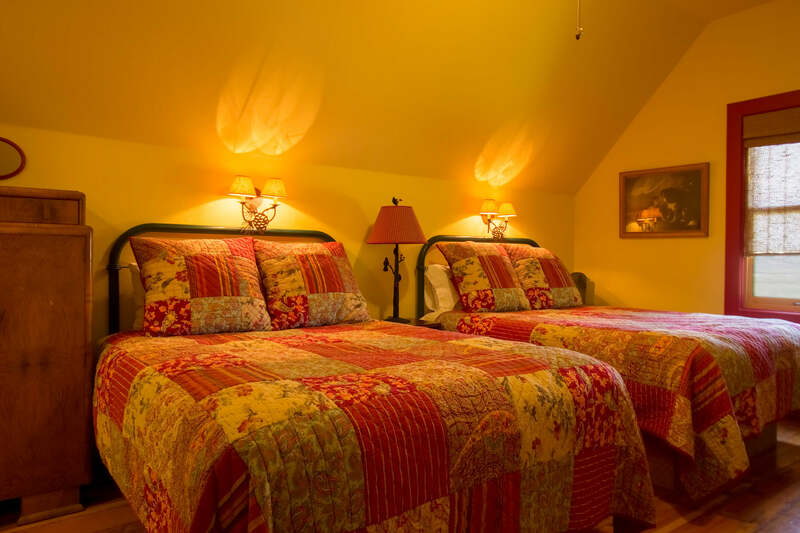 The Farmhouse consists of 3 bedrooms, 4 queen sized beds, 3 private bathrooms, a living room, and a fully-equipped chef’s kitchen, including a Viking Range. 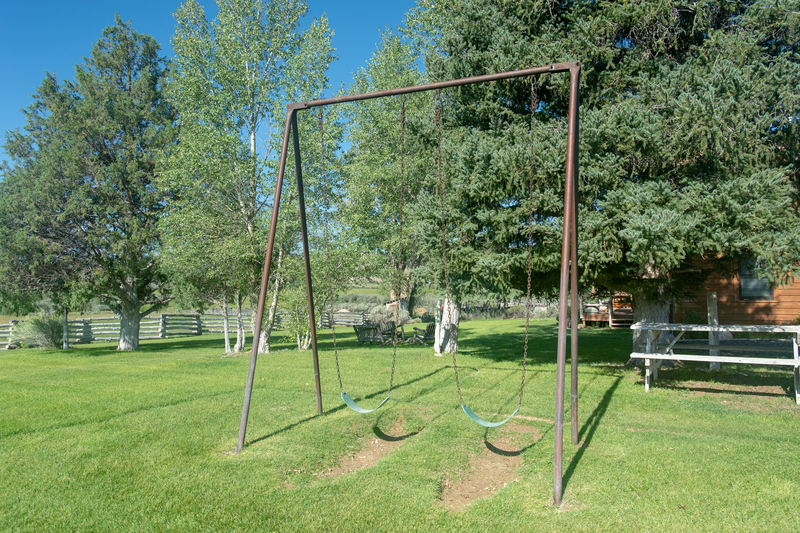 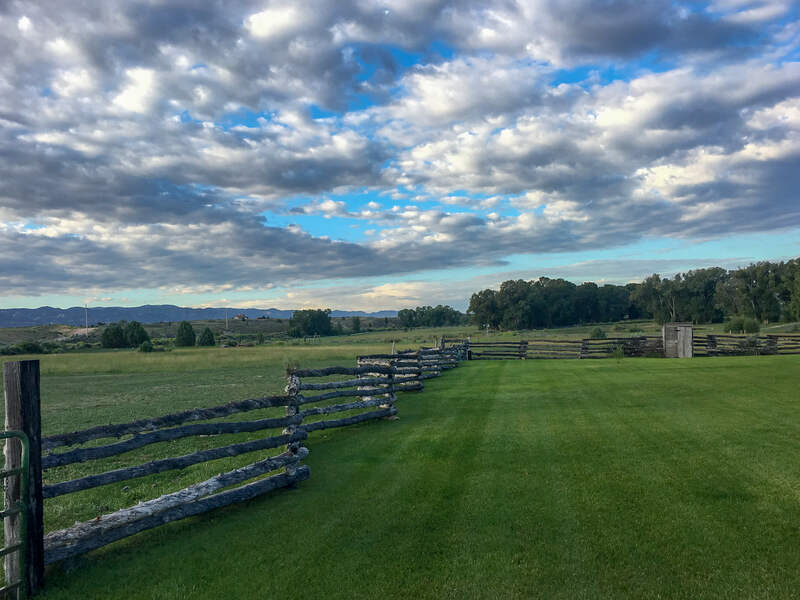 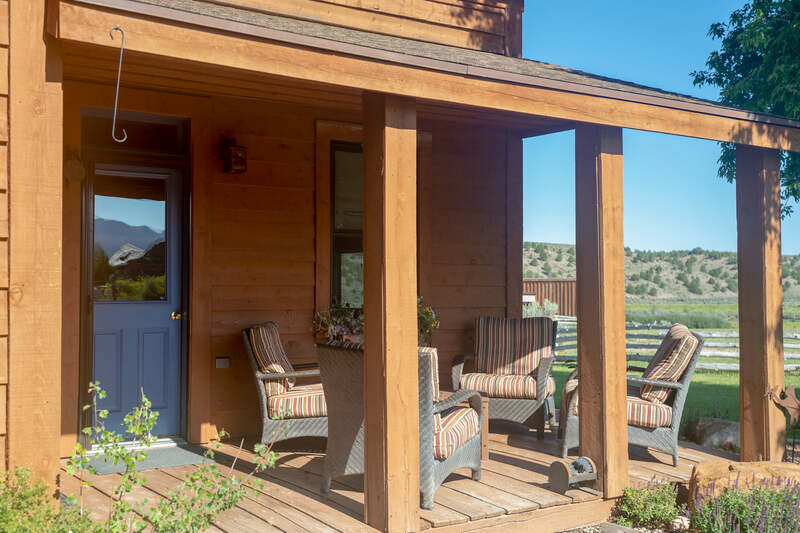 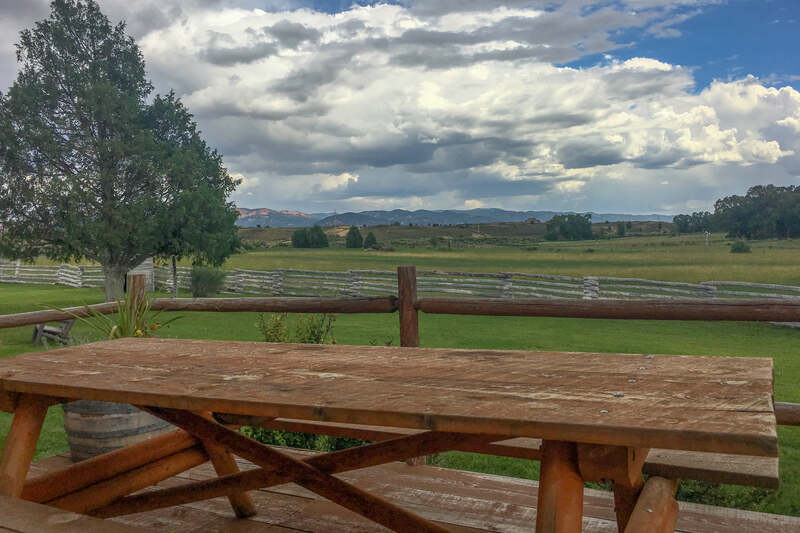 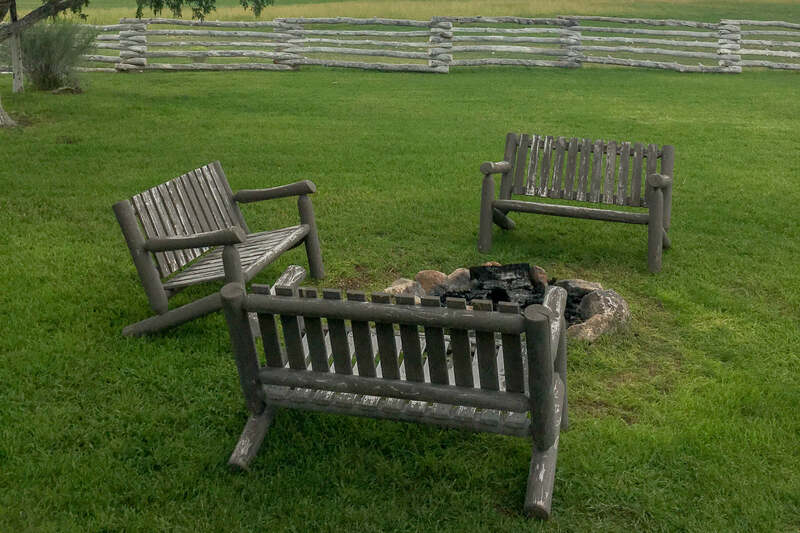 The front porch overlooks the horse pasture, while the backyard deck overlooks the Sevier River.